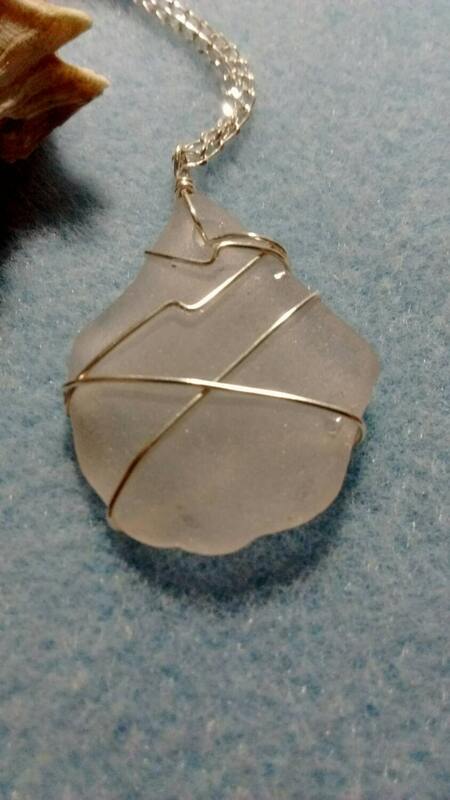 This piece of authentic Sea Glass was found off the shores of an historic whaling harbor in Fairhaven, Massachusetts. 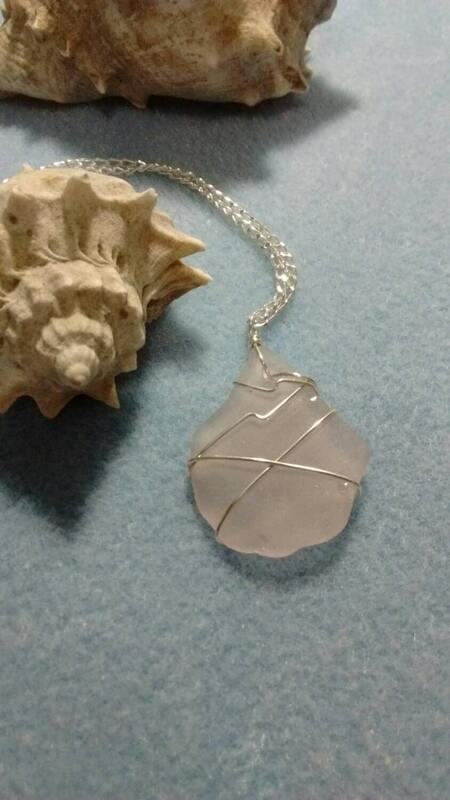 The smooth frosted appearance comes from many years of tumbling in the sand and surf. 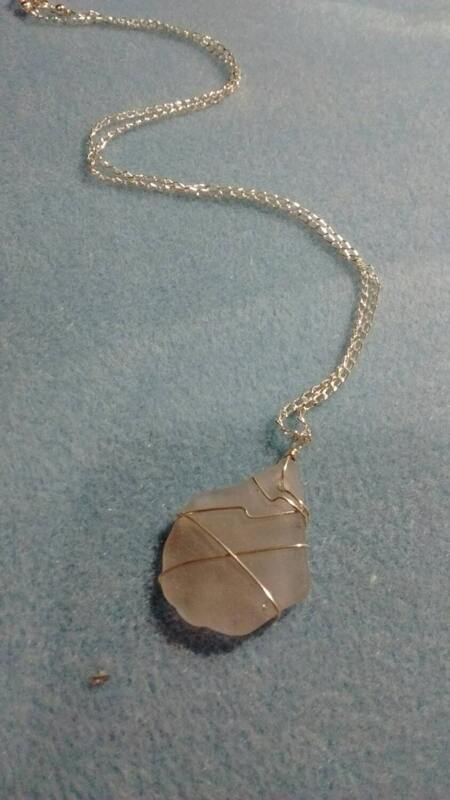 Necklace is 20" (apx 51cm) long with a 1" (apx 3cm) extension and includes a 24mm x 24mm (apx 1 1/4" x 1 1/4") piece of light lavender authentic sea glass wrapped in sterling silver wire.